The Special Operations Division is led by Division Chief Paul Azevedo and Assistant Chief Fiona Khalil. Special Operations is responsible for investigating and prosecuting a variety of complex matters. Some of them include crimes committed by elected and appointed government officials, including misuse of public funds, political corruption and violation of election laws. The division also investigates allegations of criminal wrongdoing by county and other government employees and officers, including law enforcement officers. 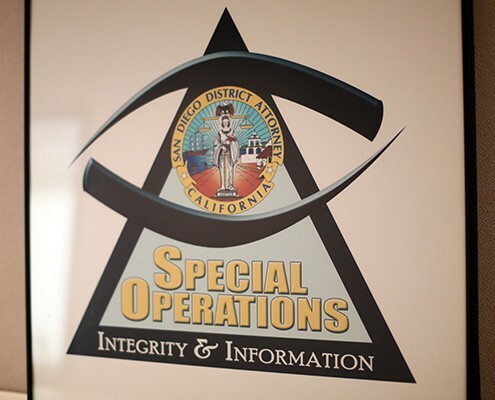 Special Operations also investigates and prosecutes attorneys for crimes committed while in their professional capacity. Offenses committed against the justice system, such as perjury and threatening a judicial officer; as well as hate crimes are also handled within this division. The Crimes against Peace Officers (CAPO) Unit was formally established in late 2013. The unit oversees all cases in the county where officers were victimized as a result of their duties. 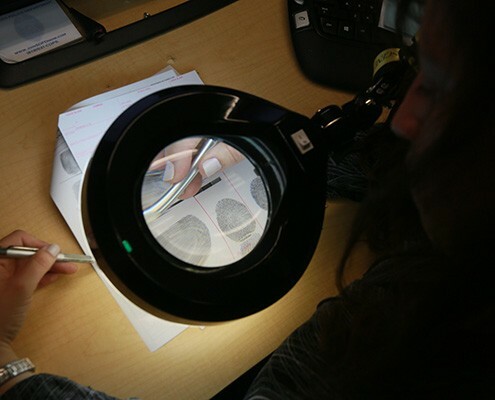 The CAPO Unit is led by an experienced prosecutor and investigator and there are 15 prosecutors assigned to handle CAPO cases throughout the county. In its first full year, over 2,000 cases were issued that involved resisting and/or assaulting law enforcement officers. Prior to the creation of the unit, the Special Operations Division handled many of the cases where a peace officer was seriously injured. Investigators who work with law enforcement agencies in Mexico and other countries are assigned to Special Operations. In addition, the division is responsible for background checks on potential employees and volunteers. In 2014 for example, the unit completed over 300 background checks. Duties of the division also include the independent review of all officer-involved shootings (OIS), which the District Attorney’s Office has done since the mid-1970s. The purpose of the review is to provide an impartial analysis of all shootings and other use of deadly force by peace officers, fatal and non-fatal. The neutral and objective review determines if peace officers in San Diego County acted lawfully when they made a decision to use deadly force. Upon completion of the District Attorney’s review, a letter summarizing the facts and statements of the deputy or officer and other witnesses is written and delivered to the respective law enforcement agency. In 2014, the division reviewed 12 officer-involved shootings. A crime analyst working with the division also completed a 20-year study of officer involved shootings in San Diego County from 1993 through 2012. On July 2, 2014, the end of a wide-ranging public corruption case involving 18 defendants connected to three school districts in South County, including Sweetwater Union High School District, Southwestern College and the San Ysidro School District was announced. The defendants – who included administrators, trustees and contractors – were originally indicted by a grand jury in December 2012 on multiple counts including bribery, perjury, filing a false instrument, influencing an elected official and obtaining something of value to influence a member of a legislative body. The defendant, an on-duty San Diego Police officer at the time he committed his crimes, pleaded guilty to felony false imprisonment and two counts of battery under color of authority. Hays used his position as a police officer to detain several women and sexually batter them or engage in sexual misconduct. Hays was sentenced to a year in jail and three years of probation. This defendant, Paul Brinkman, stabbed a man and, later in the same day, tried to stab another man in Pacific Beach. A police officer tried to contact defendant who was armed with what appeared to be a knife (later discovered to be scissors). Brinkman refused the police officer’s orders to drop his weapon and walked toward the officer. The officer was forced to shoot the defendant to protect himself and other citizens. The defendant pled guilty to assault with a deadly weapon on the citizen he stabbed and assault with a deadly weapon on the officer. He was sentenced to five years in prison. Defendant yelled racial slurs at an African-American man walking with a Caucasian female companion. He approached the two people while pointing a knife at them and threatened to stab the man. The defendant pleaded guilty to making a criminal threat. A storekeeper for a City of San Diego department ordered $161,000 worth of goods not used by the City. The defendant pleaded guilty to grand theft. Our mission is to pursue equal and fair justice for all and to build safe neighborhoods in partnership with the communities we serve, by ethically prosecuting criminals, protecting victims and preventing crime. © San Diego County District Attorney. All Rights Reserved.